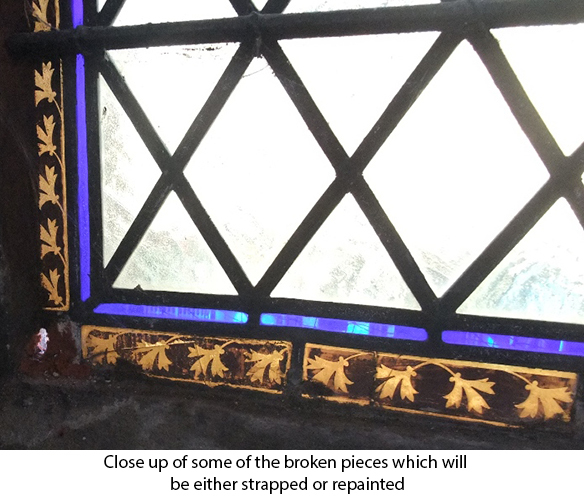 This window was removed due to the stonework being unstable. 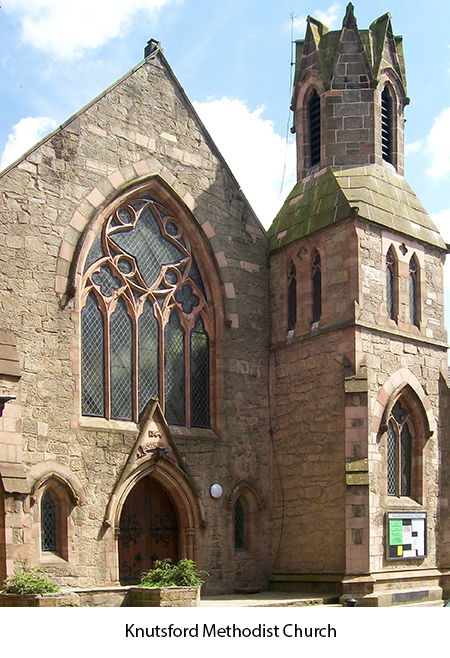 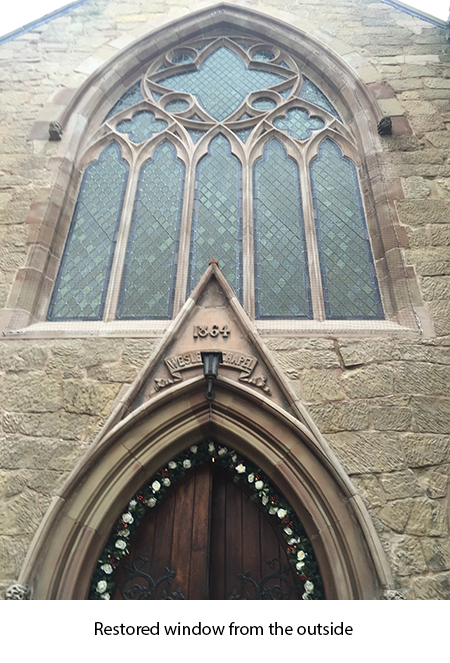 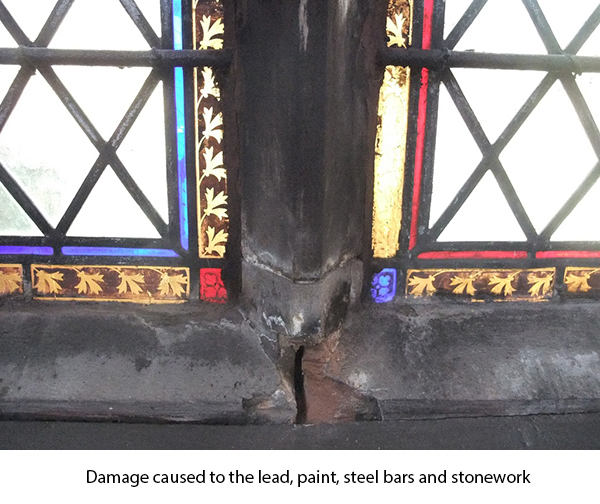 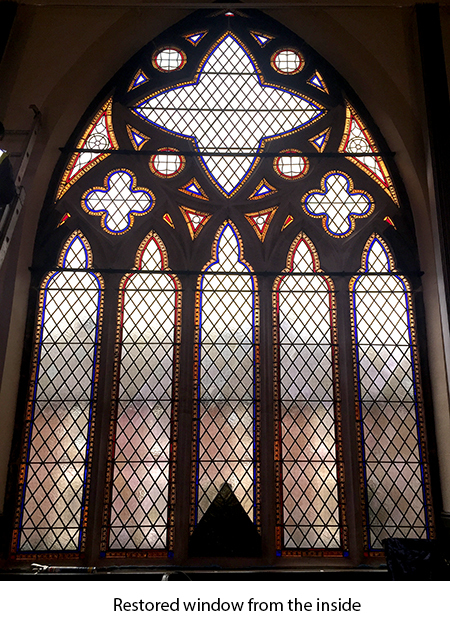 The leaded windows had suffered damage due to bracing the stonework and fatigue due to the stonework moving. 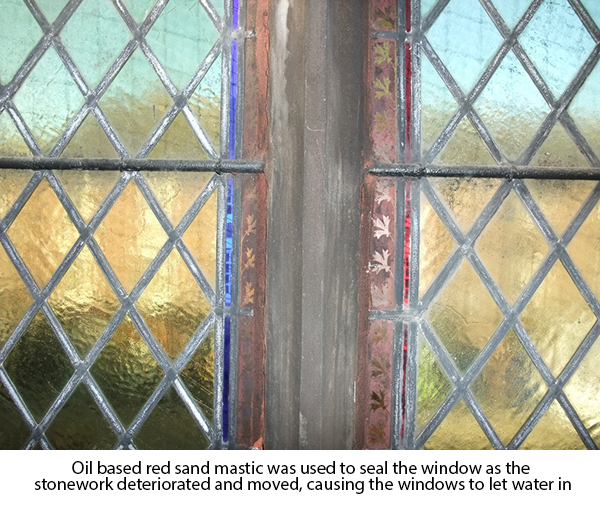 The entire window was stripped, cleaned and releaded with new lead section to match the original. 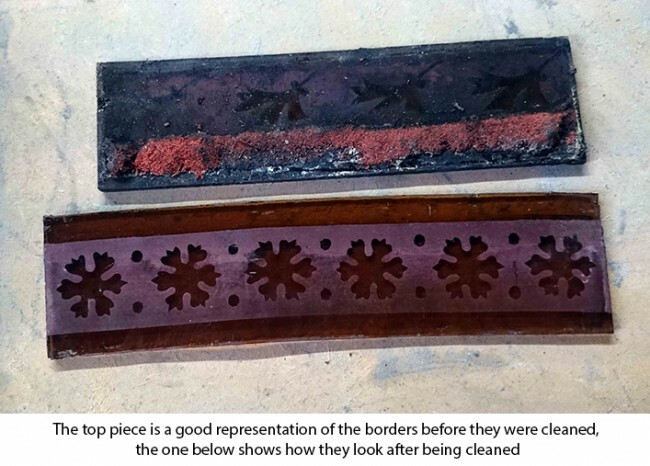 Some of the broken borders were copper foiled where they were cracked and new paint was applied to those that had faded due to moisture and the use of oil based mastic which had been applied due to the movement in the stone. 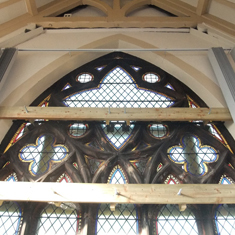 This window was interesting to make as the panels are not split across the window but instead seperate in line with the quarries, giving a seamless finish to the window.